Besides generating revenue, the opportunity reduces expenditure spent on manure and effluent waste management and disposal at the plant that can be counted as additional savings for the companies from the project. Farmers rely heavily on government subsidies to manage commodity prices and to show profitability. Over the years there has been a steady decline in the dairy industry driven by high feed cost and skyrocketing energy prices leading to tight profit margins for the farmers. Turning a waste liability into a profitable business can generate revenues that reduce the impact of declining commodity prices and diversify farm income. 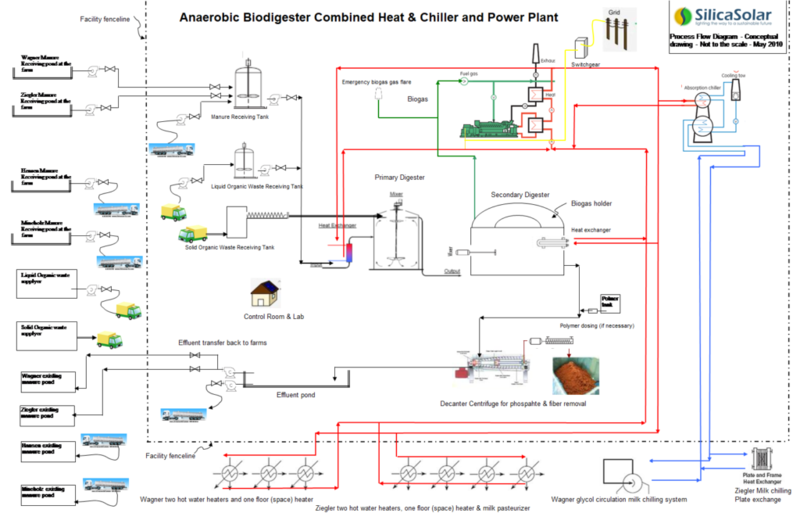 The anaerobic digester waste to energy plants will allow the farmers to expand and grow their livestock operations by adding an additional source of revenue through farm waste management while reducing the impact of global warming. Silica Solar AD biodigester technology providers for projects are Krieg & Fischer Ingenieure GmbH, from Germany. 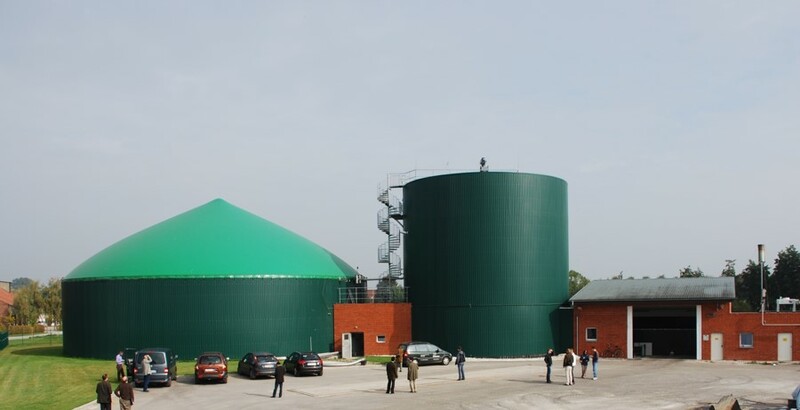 The company has approximately 120 reference plants to its credit: agricultural and industrial, one and two stage mesophilic and thermophilic wet and dry fermentation plants; biogas plants for fermentation of cattle, pig, poultry manure, co-fermentation and bio-waste fermentation plants. The fermentation of wide range of substrates from grass silage, corn silage, bio-waste, manure, fats, kitchen wastes and many other organic wastes are part of spectrum. Their designed plants are operating in Germany, Japan, Italy, Lithuania, Slovakia, Switzerland, Spain, France, Canada and the USA. They provide us complete technology services from, planning, detailed engineering, construction supervision, commissioning, training, guarantee testing and after service technical support to optimize plant operation, maintenance for maximizing return on investment.